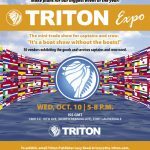 It’s time for The Triton’s biggest event of the year, the fall edition of the Triton Expo, this year held on the second Wednesday of October from 5-8 p.m. at ISS GMT in Fort Lauderdale. We’ll gather about 50 businesses to showcase their goods and services for yacht captains and crew, we’ll add a little music and some casual nibbles, and we’ll have some great networking. 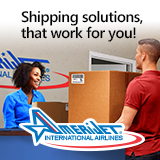 This low-key, free trade show typically attracts about 1,000 captains, crew and industry professionals. It’s one of the strongest networking events in the industry. Q. What is The Triton? The Triton is a monthly news magazine produced for the professional captains and crew who run luxury yachts. I’m a journalist by training and experience, with about 16 years at daily and weekly newspapers around South Florida before starting The Triton in 2004. So cover the men and women who run luxury yachts as the group of professionals they are, and we have worked to focus on their issues both as professionals and as employees. Q. How does the Triton Expo fit into that? We started the Triton Expo in the spring of 2008 as a job fair to bring together crew looking for work and the companies that were looking to hire. But those two pieces don’t fit together nicely in yachting like they do in other industries; yacht owners or captains don’t set up a booth at a job fair to hire crew. So the Triton Expo quickly evolved into a more casual trade show. A boat show for crew, only without the boats. Q. How can captains and crew get the most out of the event? 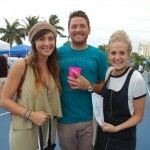 While it is casual, the Triton Expo is a professional networking event. Dress appropriately; come ready to meet new people; bring business cards. Prepare a little. Visit www.the-triton.com, hover over “events” and click on “Triton Expo”. Scroll through the list of exhibitors to see if there are any you want to learn more about, and make a point of visiting them during the evening. Walk around, introduce yourself and learn about the vendors. You may not need their services today, but next month when you get that promotion or next year when you join a new boat, you might want to contact them. Have a goal for new contacts. A captain might make a point of meeting three new business owners, or collecting info from five new crew candidates. A new deckhand might seek out and introduce himself to three captains. Ask a successful contact to introduce you to someone else. When making an introduction, find something that the two people have in common so they can more easily begin talking. You’ll be a rock star to both people if a new connection is the result. Collect business cards. Begin or expand your network of resources that will make you invaluable to your boss. Jot a note on the back of the card so you remember something about the person. Follow up. Do what you say you are going to do. If you said you’d forward a resume or share a link, do it. Placement agents will be there, both exhibiting and walking around. Stop and talk to them. Update them on your career. Bring a few copies of your resume. This is a business event. Be professional. Consider this work for a couple hours, then maybe invite someone new out for dinner to reinforce a new relationship. All our readers are welcome to join us at the Triton Expo on Oct. 10 from 5-8 p.m. at ISS GMT, 1800 S.E. 10th Ave in Fort Lauderdale (33316). No need to RSVP; just bring business cards and a smile so you can meet some new people and companies.